Weather/Conditions: Still and humid, lightly overcast with sun breaking through. 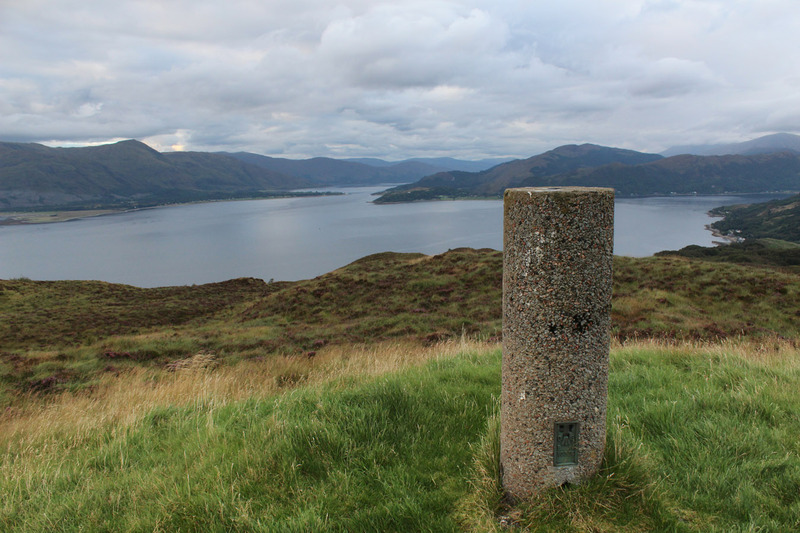 Ardsheal Hill is a coastal top on the banks of Loch Linnhe, sat between the shore and a small glen which carries the A828. 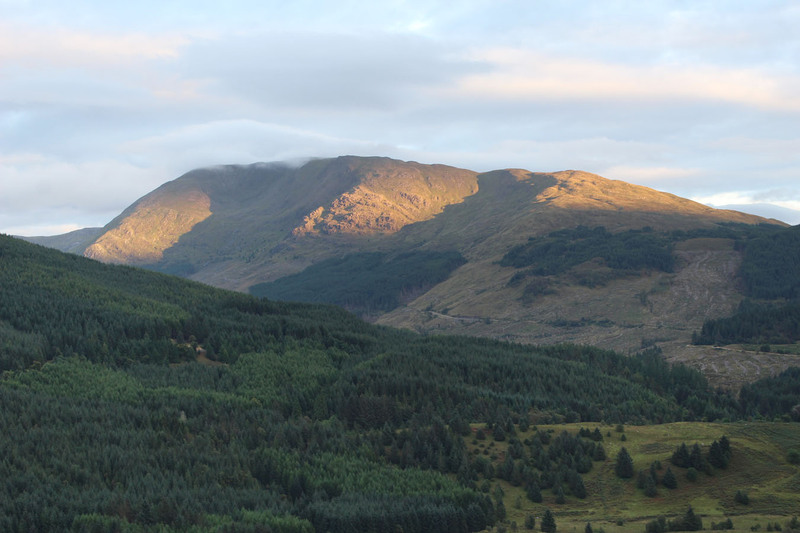 It is also well seen from Onich where it sits firmly under the great flanks of Beinn a' Bheithir. 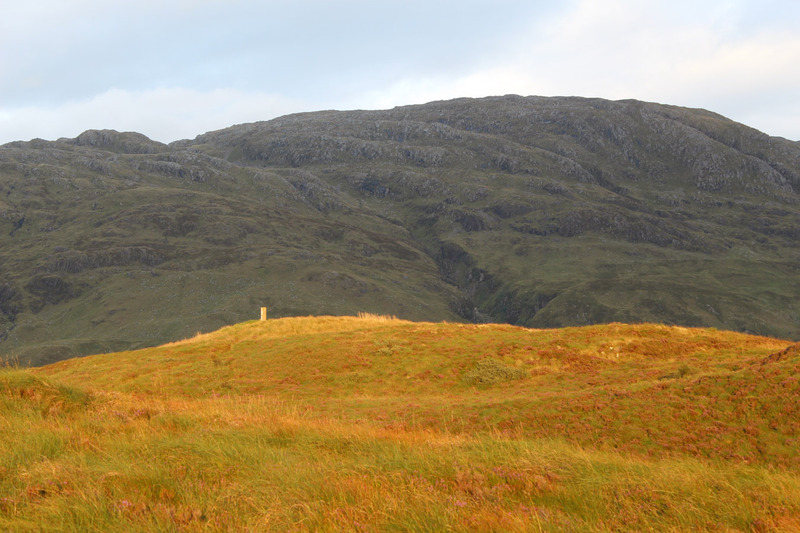 For essentially all of 2017, I've been living just up the road in Ballachulish and so it surprised me that I hadn't yet made the trip to this modest hill top. I'd imagined it would be one of the first hills I climbed when I arrived, but in the event other plans get in the way. As for my August, it's felt like a pretty modest month for hills. I've been busy with Gaelic courses on Skye and Nevis days for work, but my personal mountain days have been lacking. So on the last evening of the month I figured I'd get off my arse and get something new done! I parked up in the layby just at the Ardsheal turn off. Mum called just as I started walking and we chatted for fifteen minutes. Meanwhile, I did my best not to get lost in the bracken and bog that adorns the lower slopes of this hill! It's sure lush, but I found deer (or sheep?) tracks cutting through the woodlands that helped progress. 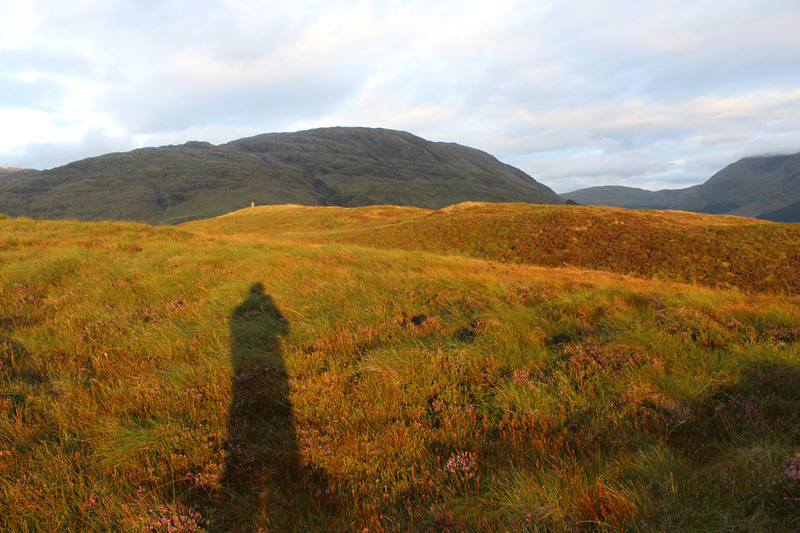 Higher up, the hill opened to open moor and thick heather; a proper trudge up to the top. 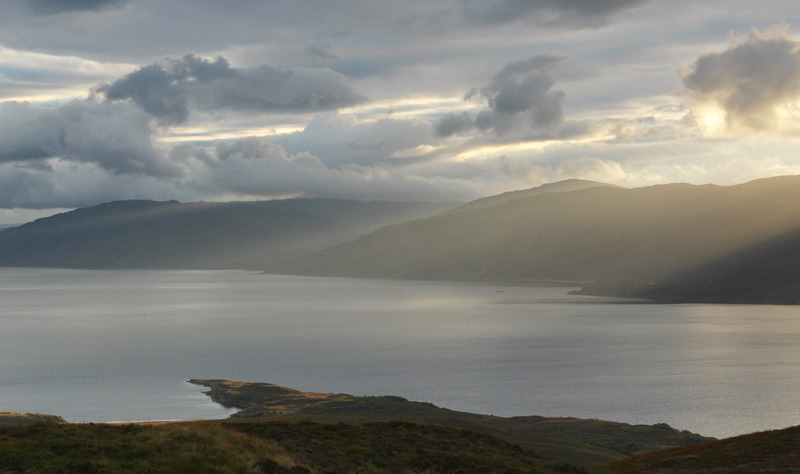 But the views were pretty staggering with the sun going down in the west over Morvern and Ardgour, casting light on the loch. I took a panorama from the trig (of course) then hung around for 15 minutes watching the light change. I headed west briefly for a look down to Ardsheal House then back the way I came, passing the mast and headlong into the bracken, woodland and scrub. I'm highly surprised I didn't end up with ticks. 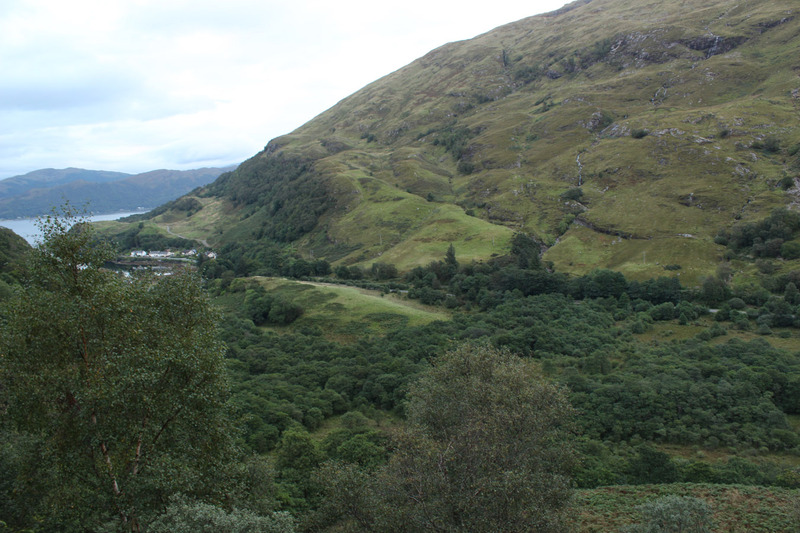 This little bellyfold of land is so lush, and the base of the little glen leading into Kentallen is all bog and standing water. I emerged out at the road wet to the knees, in dimming evening light and just a five minute walk back to the car. As usual, I'm so, so glad that I went for the hill. It always makes me feel good, and that I think, is as good as reason as any.